There are always tons of things going on in Buenos Aires, especially during the summer months. Check out the suggestions below for some cool and unique things to do this month! What is it? This tournament is held every spring in Buenos Aires and it’s an amazing opportunity to see some of the best polo players in the world in action! Crowds gather in the polo ground to see the incredible dexterity the players exhibit in the matches. When is it? The tournament began on November 10th and will continue every weekend through November with the grand finale match on December 15th. Where is it? The matches are held at the Argentine Polo Ground in Palermo (also known as the “cathedral of polo”). What is it? This festival happens every year in Buenos Aires, this year will be the 11th year it has been held! There are tons of jazz shows (some free), dance classes, and more activities across the city. When is it? The event begins on November 14th and continues through the 19th of November. Where is it? There are concerts, shows, classes and more activities held in various locations across the city! Check the link below to find ones near you! What is it? Buenos Aires has been recognized by many as being one of the most gay-friendly cities in the world so it’s no wonder that their pride parade and celebration is huge! When is it? The parade is held November 17th and people will begin to celebrate around noon in the plaza outside of the famous Casa Rosada. The parade will start between 2-4pm where people will begin marching towards the plaza outside of Congreso. Where is it? 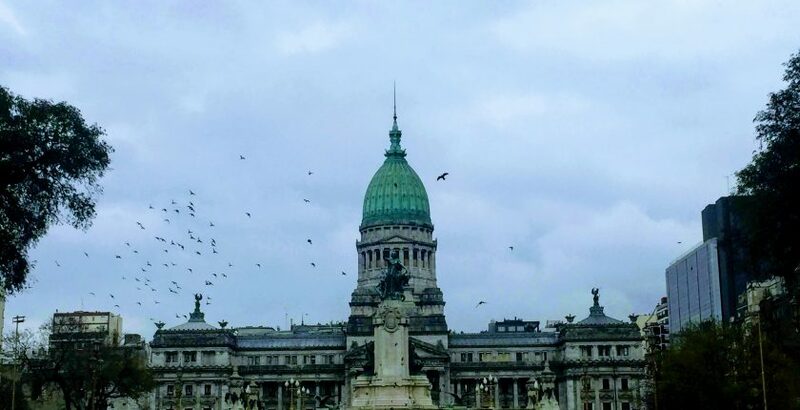 There will be a fair and celebration beginning in the plaza in front of the Casa Rosada and eventually the parade will journey down Avenida de Mayo where they will end in the park in front of Congreso.